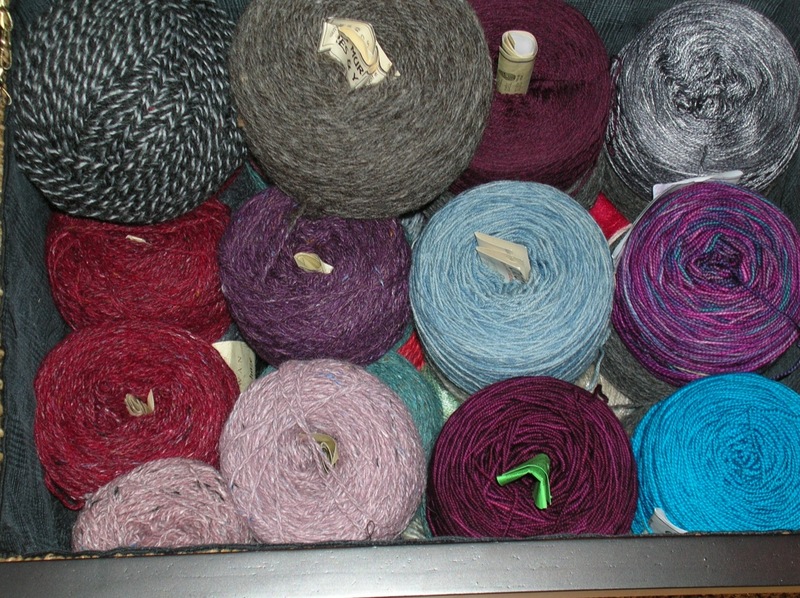 Happy Birthday to me... a very happy birthday indeed since I spent most of it happily playing with my new yarn swift and ball winder (not to mention the generous quantities of new yarn C's mum kindly sent me by way of presentage). I have been very good because the swift etc. 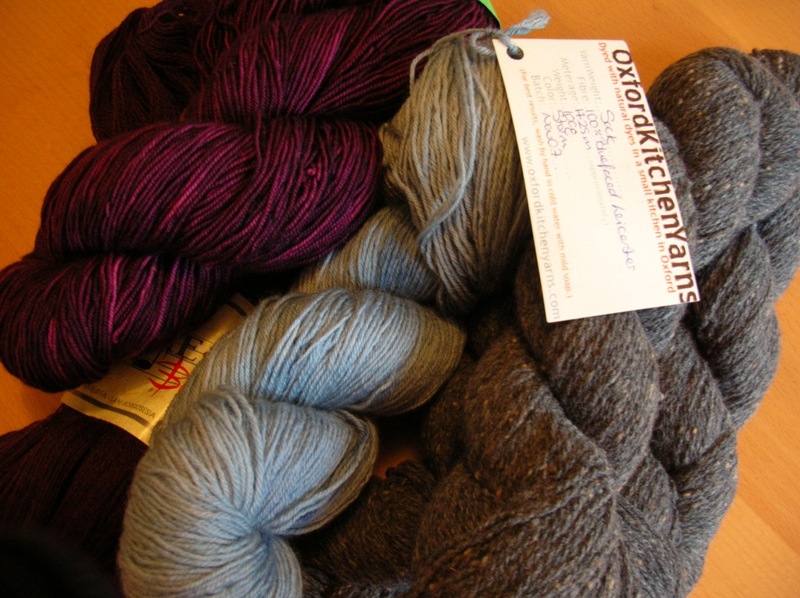 actually arrived early last week (from the Handweavers Studio who were very helpful and got it to me the day after I ordered it) but by dint of will-power and the simple expedient of hardly having any free time at all, I managed not to open it until this morning. C of course couldn't resist the lure of something vaguely technical (either that or he feared my poor little brain would overheat with the excitement) and was soon happily winding away. 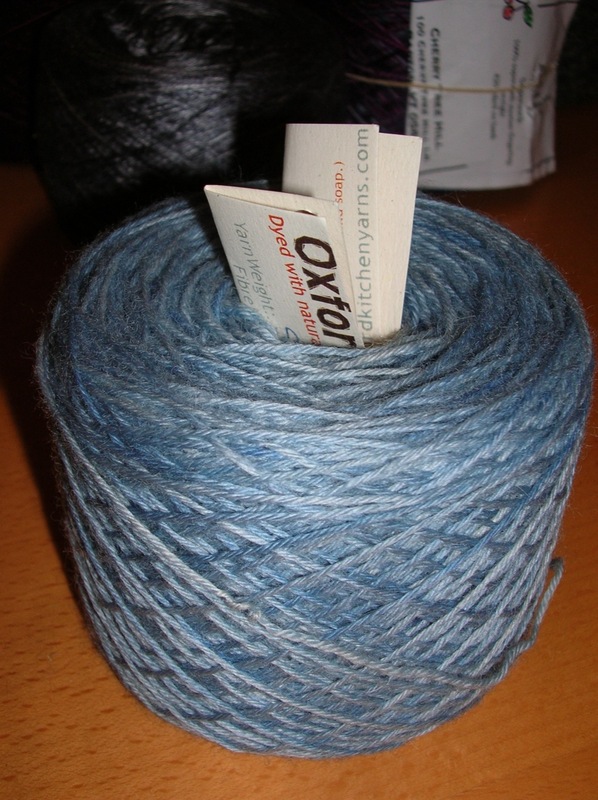 It was skein number 6 before I even got to have a go! 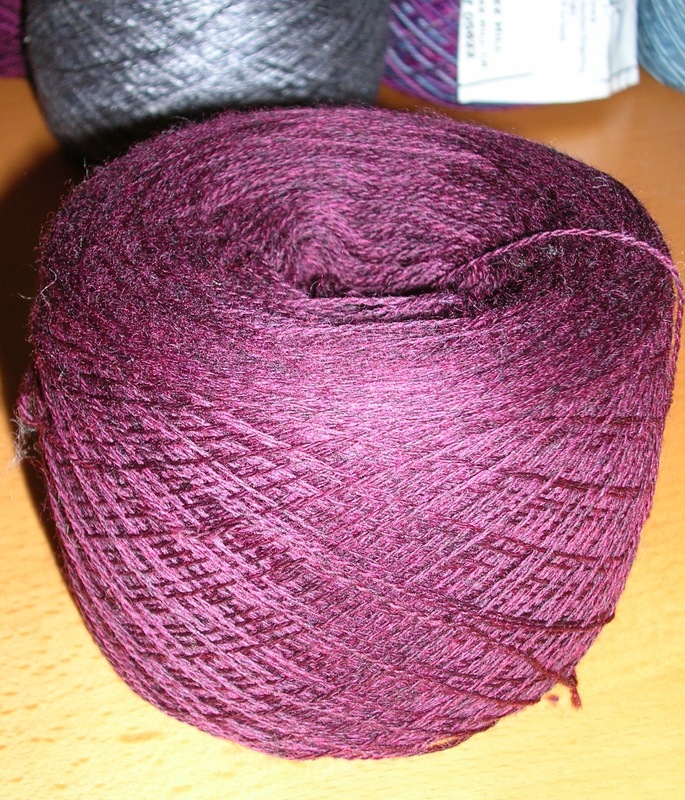 and the equally lovely Italian mulberry-coloured lace weight that I also bought there. 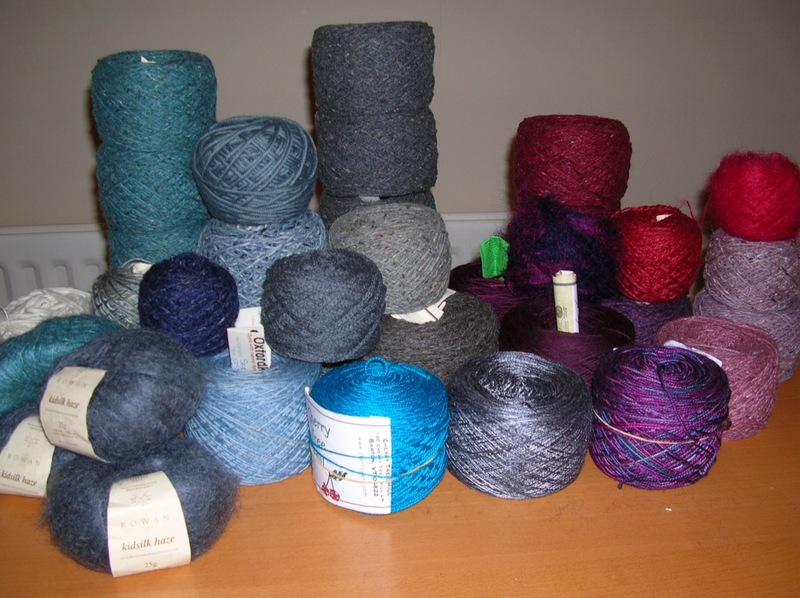 Then I basically spent the rest of the afternoon working my way through my whole stash, reducing what had been a horrid tangle in a variety of unseemly plastic bags to a stack of gratifyingly neat little cakes. And they fit in the box and the lid shuts for the first time in months! A Sunday well-spent say I. 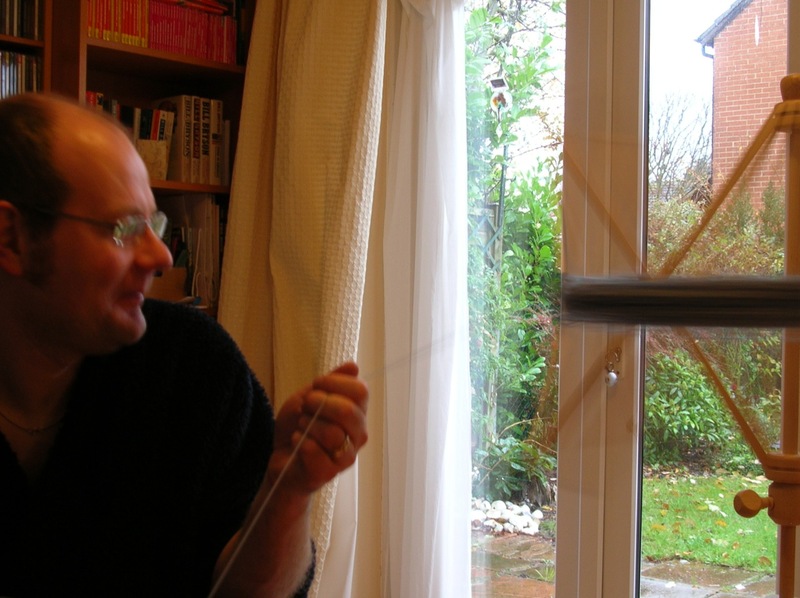 Yes - I look on R's love of gadgetry as my best chance of getting a spinning wheel into the house! Happy Birthday - it sounds like you had a good time.